The Bodleian Library is the central research library for the Humanities and the main University Library for the University of Oxford. It is one of approximately 30 libraries that form the Bodleian Libraries, Oxford University’s library service. 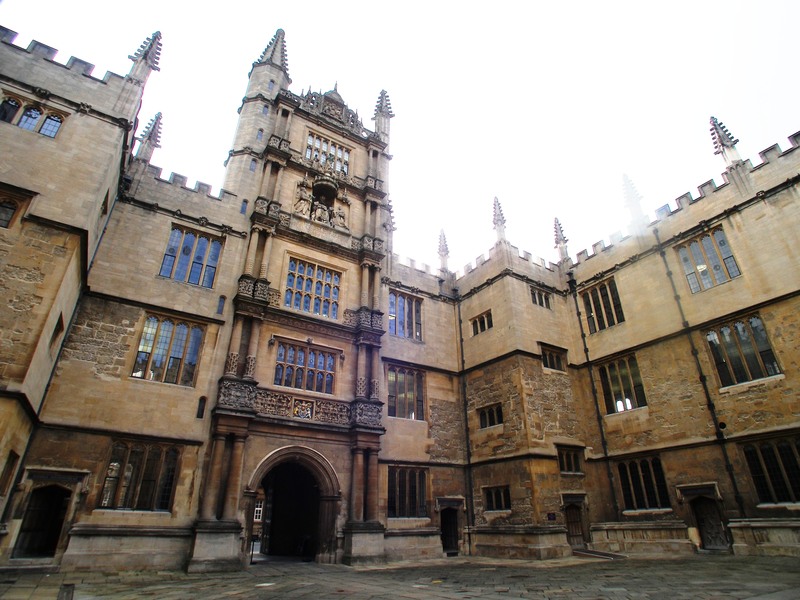 Founded in 1602, the Bodleian has been a Legal Deposit Library since 1610. This means a copy of all print material published in the UK should be deposited in the Bodleian. This has enabled the Bodleian to develop large and varied collections, holding over 9 million items. The Bodleian Library is also a national and international centre for research, supporting scholars from across the world with its collections. The Bodleian Library is reference-only. This means none of its material can be borrowed and so items should always be available to readers. The only exception to this is the Personal Development Collection, a small collection of material donated to the Bodleian specifically as a lending collection. This material can be borrowed by University members through the staff desk in Lower Camera Reading Room and is shelved in the Gladstone Link. Please check: http://www.bodleian.ox.ac.uk/bodley/library/hours for the current opening times of the areas you wish to use. Opening times do change, occasionally at short notice. Areas of the library may also close for University events or because of building works etc. This information can also be found on the website. access to the Gladstone Link reading space ceases 45 minutes before closure of the rest of the complex, and must be fully vacated 30 minutes before the closure of the complex. Duke Humfrey's library closes at 7pm during the week all year round. Library staff are available to assist users, either at the Main Enquiry Desk or the Upper Reading Room staffed desk. To contact the Main Enquiry Desk, email reader.services@bodleian.ox.ac.uk, or telephone (01865) 277162. Bodleian Library Introductory Sessions are offered throughout the year. These offer help with using the Library and its resources and can be booked by contacting the Main Enquiry desk as above. A Reader Common Room is open to Library members and staff, accessed from the stairs behind the South Proscholium entrance. The Reader Common Room is available for staff and readers to consume their own food and drinks.